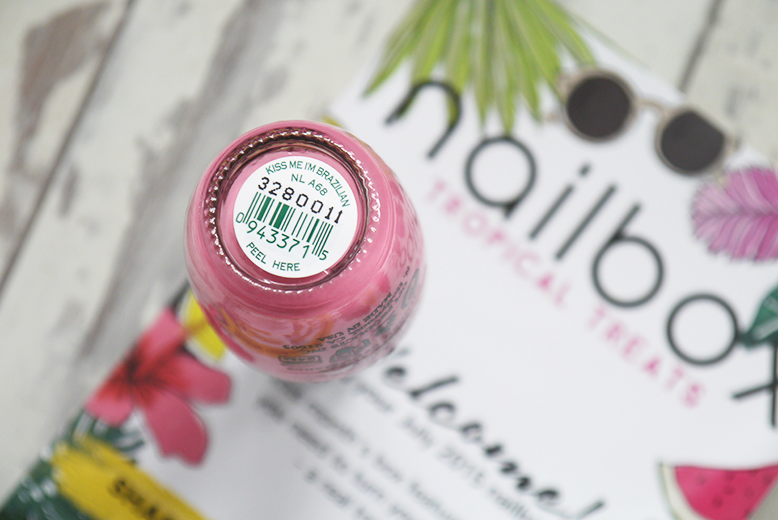 I am so lucky to have recieve the July edition of NAILBOX this monthly subscription box gives you 3/4 high end nail varnishes and an extra gift, perfect for nail polish addicts like myself! This is my third box, and my favourite! The box costs £15 or you can get deals depending on how many months worth you purchase. 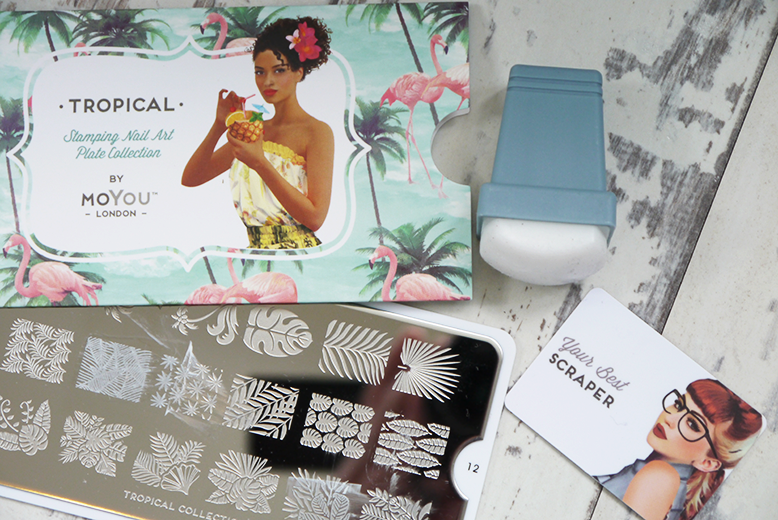 There were two amazing extras in this box, the first being a gorgeous tropical nail plate by MoYou London. I love nail plates because you can create really intricate pretty designs with minimal effort! You simply apply a little polish to the image you choose, scrape off the excess polish with the scraper, then quickly transfer the print onto the squishy stamp and roll it onto your nail with just the right pressure. It takes a few tries to get it right but once you get the technique you will be collecting them all! 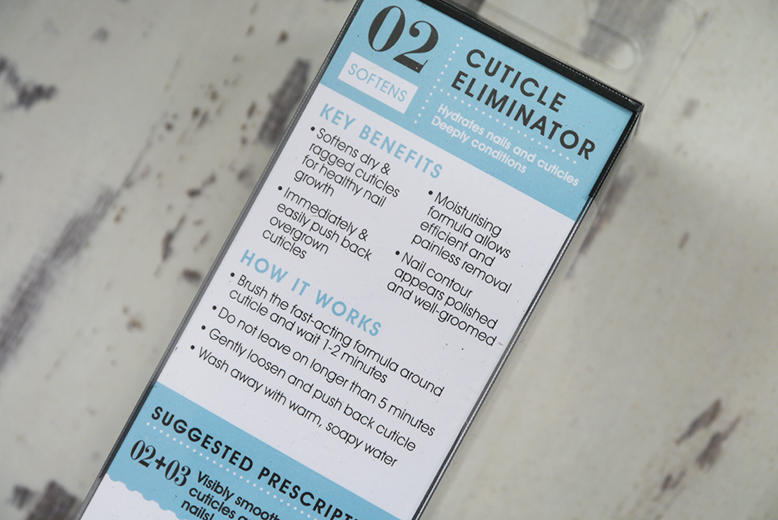 The second extra in the box is this Elegant Touch Cuticle Eliminator gel. You simply brush it over your cuticle area, wait about 2 minutes and then use a cuticle brush (or nail brush) to scrape away unsightly cuticles or extra skin around the nail bed. This means you can apply your polish easily and smoother. I've used this twice and love the formula! Now onto the three polishes in this months box! First we have one of the new quick drying polishes by BarryM! 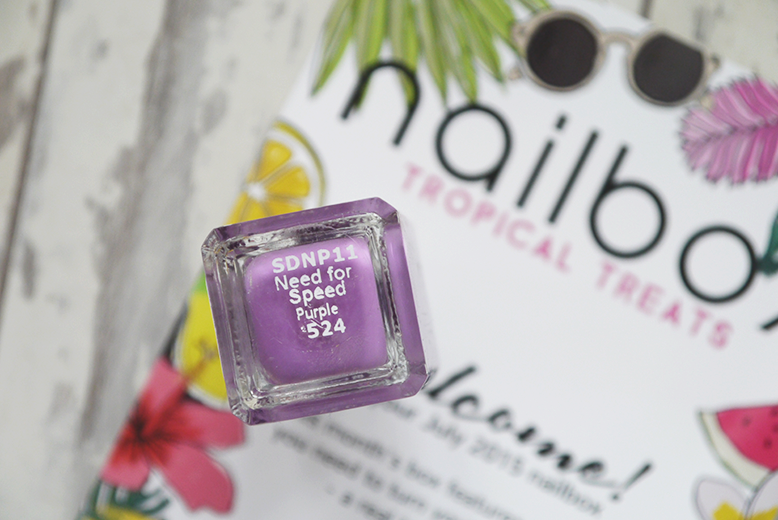 I got a gorgeous purple shade called Need For Speed Purple. 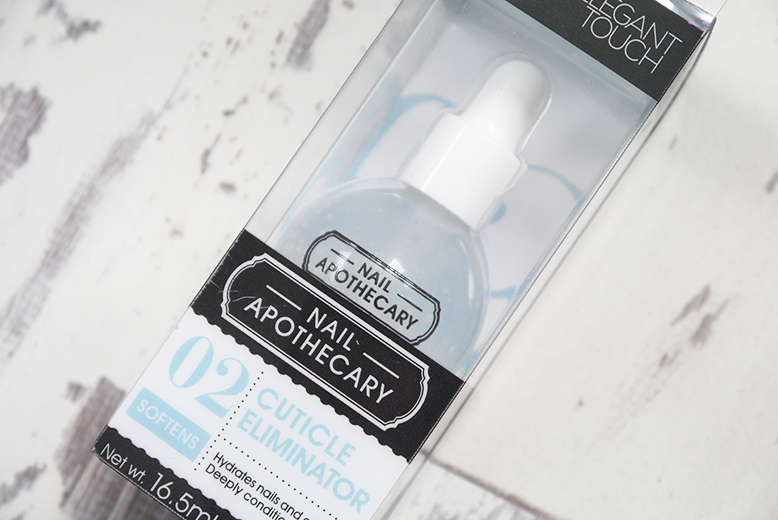 I'm usually a big fan of BarryM but for some reason I found this formula very thin and when brushing onto my nails, it also brushed it back off leaving it very translucent. If you can be extra patient you need to apply a few coats, but it dries very quickly so I guess that's the point! 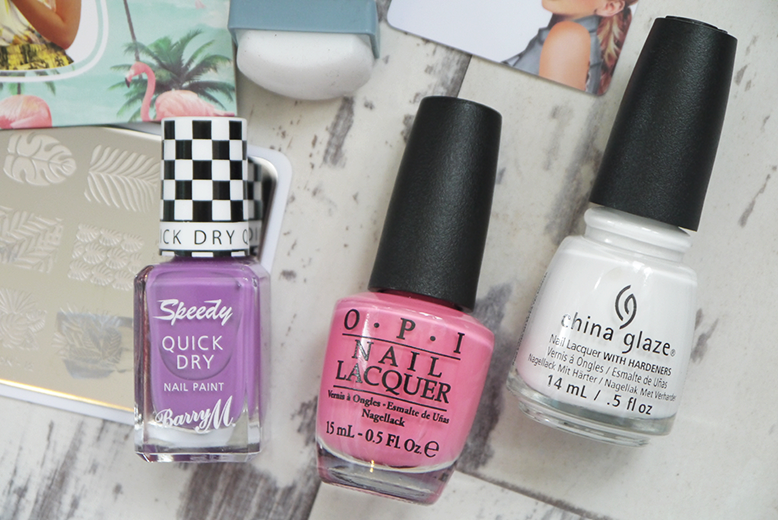 Next we have one of my new favourite brands, OPI! This time in the shade Kiss Me I'm Brazilian. 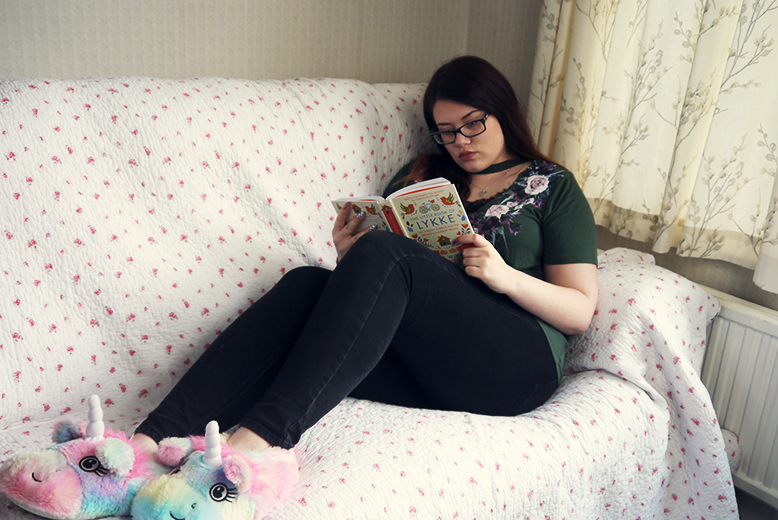 It's a gorgeous mid pink that applies well and dries quickly too! 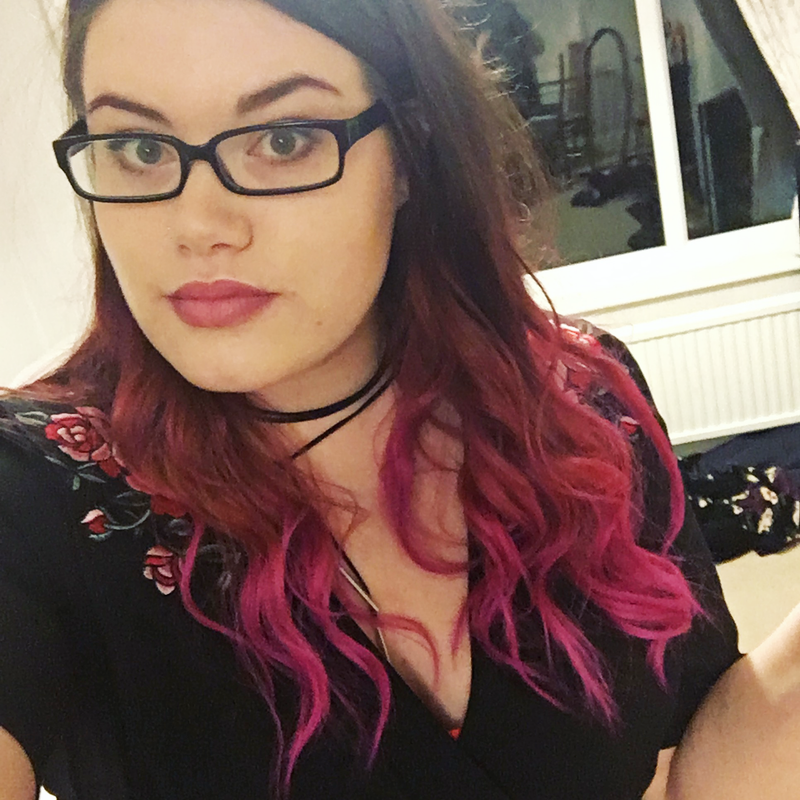 I used it with a darker pink to create an ombre effect which you may of seen on my Instagram. OPI has not let me down yet! Lastly, and possibly my favourite is a China Glaze polish in White on White. 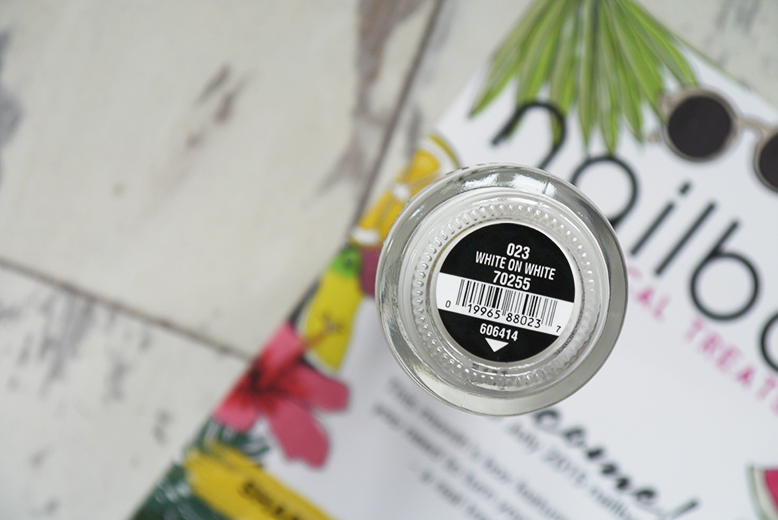 I just love white nail varnish, it's great as a base or great alone and makes my pale skin look somewhat tanned! 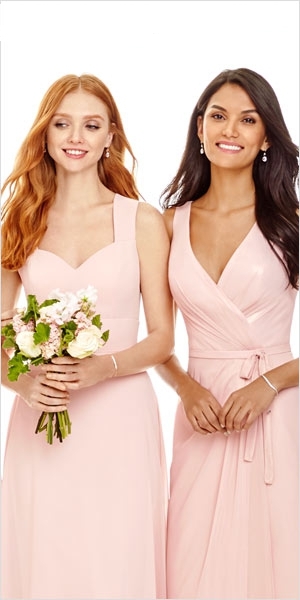 This one is perfect and doesn't look at all tipexy! NailBox, you nailed it again!